As we all know that our spine specifically the lower back bears maximum weight of our body during physical activities like running, lifting, bending or even walking. This is why injuries like sprain or strains are very common. Let us take a look at the elements that differentiates a sprain from a strain. Strain in the back is defined as an injury to the tendon or muscle. Tendons in the back are those fibrous bands that are responsible for connecting the bone to the muscle. When a person suffers from back strain these tendons are pulled, torn or twisted which is why the person suffers from back pain. 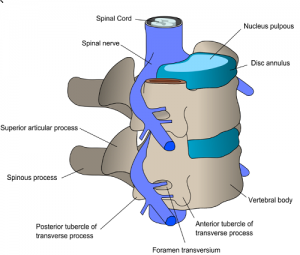 Back sprain in the back occurs when the ligament in the spine is either stretched or teared. Ligaments are also fibrous joints but they are responsible for connecting two or more bones at a joint. The treatment for both back sprain as well as strain is similar. The usual at home treatment includes rest, use of ice pack as well as compression and medications like NSAIDs. All these simple treatment options help in reducing pain, spasms as well as swelling. However, if the pain as well as other symptoms do not show any sign of improvement in about two weeks then you need to seek advice from a back doctor.